I know there’s a way to prettify this page and make it look enticing and inviting, but I haven’t figured that out yet. For now, I’m just listing the books with brief descriptions and links to Amazon. As a semi-retired person who’s both excited and nervous about this writing venture, I’m volunteering to speak with your book club, Bible study group, students (including two-year, high school, unmotivated, lost, anxious, stressed, confused, discouraged, or fed-up). My email addresses are jpbowers3@gmail.com and bowersj55@hotmail.com. Next on the list is a book that came about because someone invited me to a Bible study about Esther. Little did I know that that invitation would lead to a blog that eventually led to the creation of Eve’s Sisters. The combination of psychology and religion has helped me to live a more effective life, and it’s my hope that reading about the application of psychological principles to the women of the Bible can help you too! Then and now, women struggle with emotions, relationships, and personal choice as they navigate their way through life. 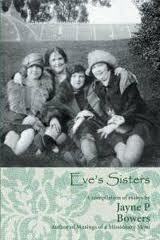 If you’d like your own copy of Eve’s Sisters, it’s available in both hard copy and digital formats at Amazon.com, InspiringVoices.com, BarnesandNoble.com, and several other online sources. And here the book with my son’s picture on the front. 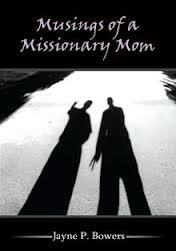 He and his companion were in Torreon, Mexico where he was serving a two-year mission. The picture is entitled Las Sombras, and looking at it and hundreds of others helped his mom get through those 24 months. I especially like the young men portrayed in Las Sombras because it reminds me that it could be any missionaries anywhere in the world. It’s easy to buy this inspirational little book of devotionals.You can purchase it at Amazon,com by clicking the link below. It’s also available at other online sites including Barnes and Noble and Author House. I have a few copies as well and will be glad to send you one.